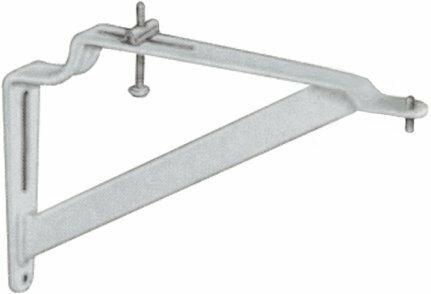 K-1808-P-NA Size: 12" Features: -Pair of brackets.-Toggle and adjusting screw. Options: -Available in two sizes: 12'' or 20'' D. Dimensions: -Overall dimensions: 12'' - 20'' D. Warranty: -Manufacturer's warranty. Silkroad Exclusive Bathroom Vanity Travertine Top Single Ramp Sink Right Cabinet, 36"